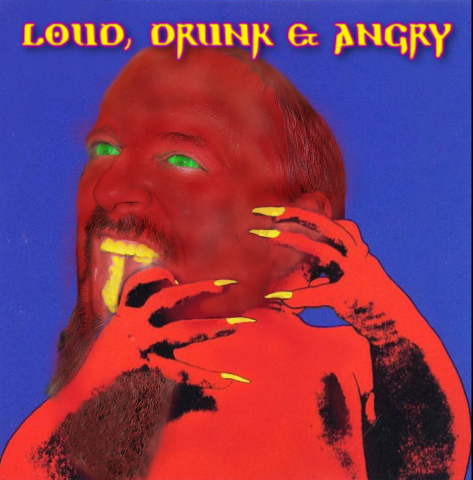 Loud, Drunk & Angry (LDA) is weekly 3 hour show featuring the best in new rock and roll plus deep cuts, killer classics and interviews. LDA encourages listeners to support new music, discover classics they may have forgotten and to play it loud. Over a 3 hour period listeners will hear hard rock, classic rock and at times even old school punk, R&B and maybe even an old school country tune or two. Interviews, new songs and classic deep cuts each week. Loud & Proud! Segments average 18 minutes each, 9 segments per show. New episodes uploaded by Thursday of each week. We'd hire a psychiatrist to find out just what makes Rob Kern tick but we're pretty sure we couldn't afford the years of therapy needed for a diagnosis. Raised on Creem and Mad Magazine and stacks of KISS albums, followed by years of binge drinking has created the manchild we know and revere. Rob has been a contributing writer for Classic Rock Magazine, penned the hilarious manifesto, 33 Days In The Hole: The Chicago Experiment, directed music videos for the likes of American Dog and Stacie Collins and was also the co-host of the From Out Of Nowhere Podcast, a weekly music/interview show. Past guests of From Out Of Nowhere include comedians Marc Maron and Jimmy Pardo and musicians such as Blue Oyster Cult's Eric Bloom, Dan Baird, Producer Tom Werman, James McMurtry, Ross The Boss and Marshall Crenshaw. This is the final episode of Loud, Drunk & Angry and we go out with a bang. 3 segments totaling nearly 4 hours. This show is not FCC compliant. This week we’ve got a few new tracks and tons of requests and classics. The perfect soundtrack for your summer weekend!